The first step in every home improvement project is figuring out its design. Roofers and designers alike first set about determining the layout that satisfies their customers the most. Not everyone is knowledgeable about the various types of layouts, though, especially those used for kitchen remodeling. 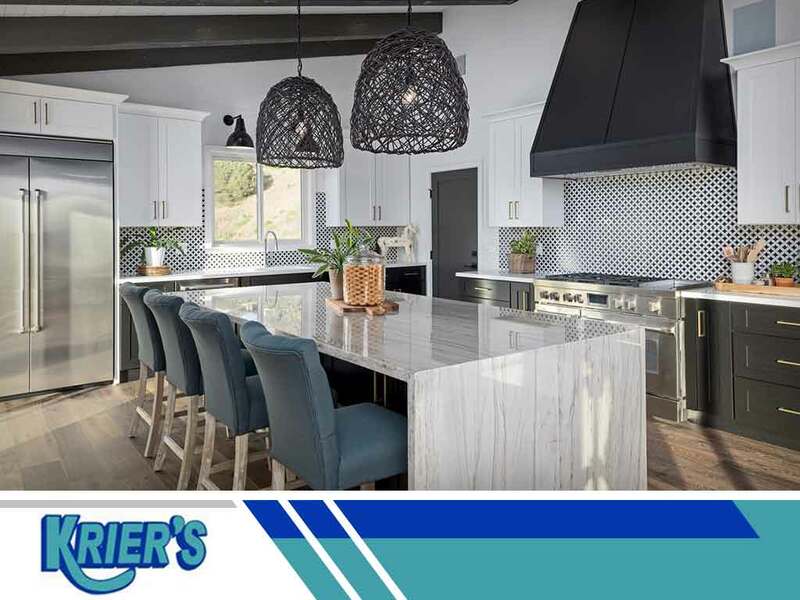 Krier’s Construction discusses five popular kitchen layouts and their respective features. The one wall or Pullman kitchen layout is the most basic kitchen layout commonly found in loft spaces or studios. It’s the ultimate way to save space since all your kitchen appliances, cabinets and more are conveniently fixed on a single wall. Practically every home with limited space has trouble utilizing the extra spaces when it comes to home improvement projects from landscaping to remodeling. But, you can make use of every square inch of your small kitchen with a galley layout. This is a walk-through kitchen with two walls opposite each other and countertops between them. The L-Shape layout is the perfect choice for homeowners looking for ways to maximize their corner space. It is characterized by countertops on two perpendicular adjoining walls forming the letter L. This smart and space-efficient style is great for small- to medium-sized kitchens. You can cook, store food and prepare meals with ease because of the free floor space. A working kitchen island is incredibly functional since it can provide extra cabinetry, hold appliances and, of course, offer a place for dining. Homeowners can efficiently prepare and cook food without crowding their kitchen. It’s the ideal layout for those who love spending time in the kitchen. However, not all kitchens have the sufficient floor space to include this in their remodeling project, so make the necessary measurements if you are interested in this design. This layout is called the horseshoe because its final look resembles the letter U, the shape of a horseshoe. It is composed of three walls lined with your appliances and cabinets for better workflow when preparing meals. It’s better for big kitchens with multigenerational families living in one roof. Such a design eliminates the problem of crowding in the kitchen as it opens up plenty of floor space. Krier’s Construction is the general contractor to trust for your kitchen remodeling. We always strive to provide excellence and superior customer service in every project we undertake. Call us today at (920) 328-0747 for more information, or fill out our contact form to request a free estimate. We work on the home improvement needs of residents in Oshkosh, Appleton and Green Bay, WI.